C.M. Knight Fine Home Building, Inc.
C.M. Knight Fine Home Building, Inc. is a professional General Contracting firm specializing in new construction, remodeling, and renovations in and around Lake Norman and Charlotte. Since 1992, we have delivered the highest levels of client satisfaction. Chris and Shelly Knight, along with their team of highly skilled subcontractors and tradesmen, are dedicated to ensuring that a high level of customer satisfaction is achieved and maintained! It is through this ongoing effort that we have cultivated client relationships that have enabled us to execute multiple projects for many of our clients over the years. Our projects cover an array of styles, sizes and scopes of work, however all have maintained a quality and integrity true to both the clients’ and the design goals. This is achieved through careful planning, communication, field management and design execution. Let us put our experience to work for you! 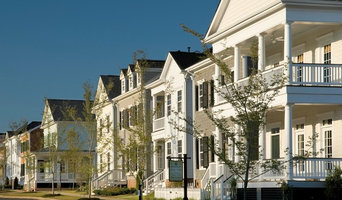 Meeting Street is a local, Charlotte-based home builder. Our homes reflect timeless, classic traditions from old neighborhoods you might stroll through in Charleston, New Orleans, Boston, Alexandria, Georgetown or Savannah. You'll find authentic architectural details in every Meeting Street home that uniquely bring old world to new construction. What's more, Meeting Street doesn't just build new homes, we pride ourselves on building communities. Meeting Street puts a tremendous amount of forethought in the design and LOCATION of our neighborhoods. You won't see a Meeting Street community just anywhere. Each community we build is conceived and designed to encourage interaction with neighbors and to be close to places of work, restuarants and shopping. We deliberately plan our neighborhoods to promote homeowner involvement within the community thus providing a sense of security and belonging to something larger. Meeting Street is a leader in creating beautiful, pedestrian-friendly neighborhoods consistent with the shared green space movement. Our Vision Quicksilver Custom Builders strives to maintain outstanding relations with clients, subcontractors, and employees. Ethics and safety are the main concerns of the company. They ensure excellent quality and client service with a daily visit to the site and weekly meetings with the clients. Our Mission Here at Quicksilver Custom Builders, we have the ability and experience needed to successfully complete the project our client's desire. We take pride in our quality of craftsmanship and ability to maintain a clean working environment to ensure minimum disturbance to client’s everyday activities. Company Profile Quicksilver Custom Builders started as a sole proprietorship in 2003 when Keith Honeycutt became a licensed General Contractor and Home Inspector. He continued pursuing his dream of owning a successful business. In 2014 the idea of expanding the business was brought up when VP Casey Honeycutt graduated college. The pair both sought after the same opportunity. The business is family owned and operated to guarantee superior personal quality with our clients. Quicksilver’s success has developed from our core values of loyalty, respect, integrity and trustworthiness. It is our goal to ensure that our clients trust us and are satisfied throughout the project. The Moellman Group LLC is a custom home builder located near Charlotte, North Carolina and serving the Carolinas. We are family owned and have the experience and expertise to craft your ideal new home, renovation or addition while providing exceptional quality, craftsmanship and customer service for life. 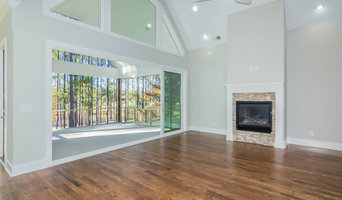 Developers and builders of custom homes in the Charlotte area. We are a custom home builder located in Shelby, N.C. Our homes are built using high quality materials and craftsmanship along with a sincere commitment to customer service. At NewStyle Communities, our vision is to provide our active adult residents with a quality, maintenance-free lifestyle in a superb and convenient location. The leadership team of our company has been a part of the EPCON Communities brand since 1986 and brings a wealth of experience to each of our unique development opportunities. With our ever-growing portfolio of retirement communities in North and South Carolina, our current and future locations are sure to make a positive and vibrant impact on satisfying the demand for The New Home Lifestyle. KRG was founded on the principles of integrity, honesty and superior work. This team has won the Excellence in Remodeling award numerous times. 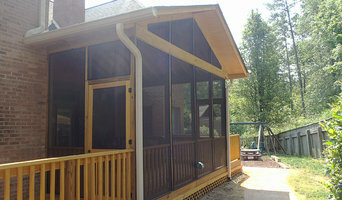 Vernon's expertise lies in major renovations and custom homes. He brings vision, attention to detail and a desire for the highest quality construction to every project, no matter the size. He is passionate about his work and making sure his clients are thrilled with his team both during construction and with their finished project. A true Charlottean, Vernon now resides in the very same house he grew up in. Vernon earned a BA in Communications from The University of North Carolina at Chapel Hill. He is a sports enthusiast, talented golfer and avid reader. He has coached his Christ Church little league team for the past 14 years. He is also busy raising his twins Suzy and Charlie. 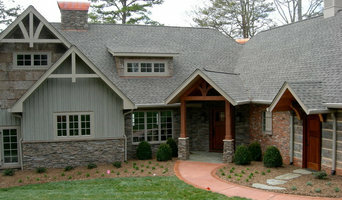 HHC Construction has been building quality custom homes in the Charlotte-Metro area for over 15 years. We also specialize in restoration, renovation, and remodeling. We offer professional and courteous service with competitive pricing. So whether you have an idea for your dream home, or simply want to upgrade or expand your living space, kitchen, bathroom, or bedrooms, HHC Construction is at your service with contemporary ideas and quality construction. Please browse through our Portfolio section and give us a call to discuss your project today! 704-777-1343 or 704-400-4995.